Reversing all its opening losses, Jet Airways made a sharp comeback in the morning trade on Friday, as shares surged over 11 per cent to Rs 356.60 apiece on BSE. In the opening deals, the stock tanked nearly 7 per cent to hit a low of Rs 299.75 apiece. Shares of Jet Airways on Thursday ended 24.5 per cent higher amid reports Tata Sons will acquire a controlling stake in the cash-strapped airline. According to a report by Business Standard, Tata Sons on Friday will take up the proposal to acquire Jet Airways in its board meeting. Sources close to the group said the discussions would focus on achieving scale in Tatas’ aviation business through investments in rival Jet. 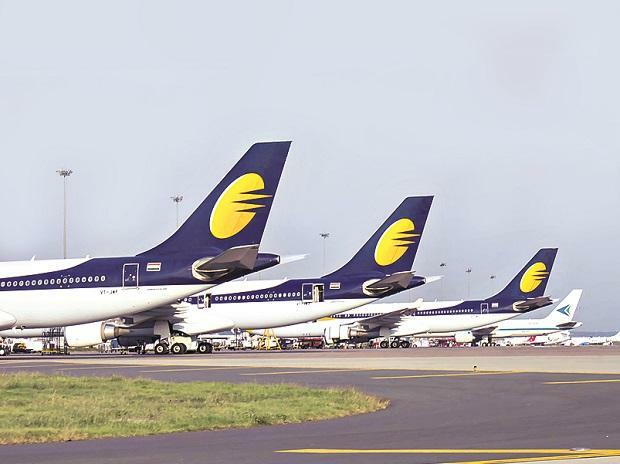 They pointed out that a deal would hinge on Jet founder Chairman Naresh Goyal relinquishing his board position even if he was to retain a minority stake in the business. The group’s holding company, Tata Sons, owns stakes in two operating airlines in India – Tata SIA Airlines (which flies under the Vistara brand) and low-cost carrier Air Asia India (a joint venture with Malaysia’s Air Asia). For Jet Airways, a stake sale to a financially strong conglomerate makes sense as its financial metrics have been deteriorating in the past few quarters. The company owes money to its lessors, employees and to other suppliers. It has also asked its employees to take a salary cut and has delayed salaries in the recent past. Its lenders have asked the airline to give a detailed plan on how it plans to repay its gross debt worth Rs 84 billion as of September 2018. At 09:52 am, shares of the company were trading at Rs 347 apiece on BSE, up 8 per cent.